Rugged Kevlar outer covering for long-lasting durability. 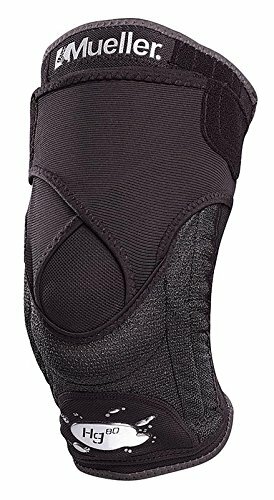 Upper Strapping System locks brace in position, out mesh shell with bidirectional stretch fabric fastens on the sides and comfortably locks across the quadriceps. Inner grip strips complete the anti-sweat/non-slip design to help prevent brace migraton and preserve high-performance support. Base sleeve is made of anti-microbial fabric that is uniquely breathable, extremely soft to the touch and features a conforming hourglass design. - Comes with nylon mesh laundry bag. - Easy to apply.